Has your hot water system stopped working efficiently, or stopped working altogether? If the answer is yes, now is the perfect time to consider all your water heating options. Should you repair or replace your system? Do you get the same model or an upgrade? As the Sydney plumbing experts from Roselands to Bankstown, Revesby, Peakhurst and Hurstville, we’ve got all the answers for you below! Based on the manufacturer’s suggested service life, the life expectancy of a water heater is about 8 to 12 years. This will also vary with the location and design of the hot water unit, quality of installation, maintenance schedule and water quality. If your water heater is more than 10 years old, leaks around the base of the tank, and is no longer functioning how it used to, then it’s probably time for a replacement. But before you begin the replacement process, make sure that a blown fuse or tripped breaker is not the reason for the unit’s failure, rather than age. If your current water heater is still under warranty and the problem is covered, repairing is obviously the better option compared to replacement and will be far cheaper. Running out of hot water can easily ruin your day, so it’s important to have the right sized water heater to meet your hot water demands. 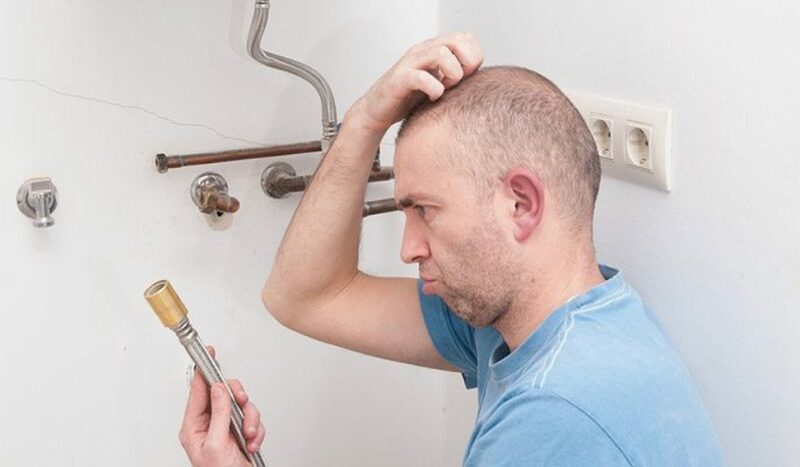 However, if your water heater is sized correctly and you still run out of hot water, repairs to an existing system may not improve your situation for very long. Consider the cost of repair work compared to how long the repair lasts. If you’re planning on moving, then water heater repairs might be the best option for you. If you are going to remain in the same home for more than a couple of years, then replacing your water heater is a better choice. If you will be selling the house, consider that having a new water heater will also lower the energy footprint and energy costs, which is a great selling point to potential new homeowners. Unless you’ve already decided you want a new hot water unit installed, completely replacing a hot water system will generally be done as a last resort. On the bright side, if you do need to replace a heater, modern water heaters are far more energy-efficient than older models. Manufacturers now inject foam insulation between the tank and its outer shell, resulting in higher heat retention. When it comes to hot water installations and repairs, Plumbing Central Sydney is one of the most trusted companies around. Email us with a query, or call Bill on 04 1001 1999 and we’ll either give you a solution or point you in the right direction.